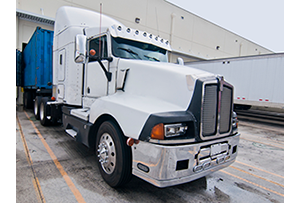 DRIVERS WANTED: Intermodal Truck Driver Jobs Drivers Apply Today! We are looking for experienced, qualified drivers to join our rapidly growing team. If you are looking to join an innovative company with a reputation as one of the safer trucking companies in the intermodal industry with a dispatcher that knows how to make you more money, then Calhoun Truck Lines is for you. Connect with us today by filling out the form to your right or if you have time, you can fill out a full driving application.